The shoreline of the lake was dramatically reshaped to improve recreational access to and around the lake. 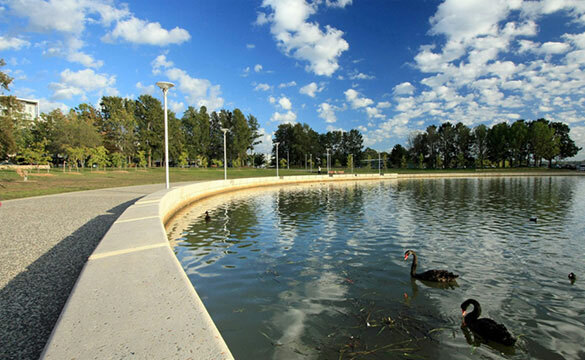 The project involved construction of a new lake wall, dredging of the lake to form the new curved inlet shape, reclaiming the existing harbour to create the new grassed bank, extension of stormwater pipes including construction of a new large stormwater chamber and headwall, paving, landscaping and pedestrian lighting. Wilde and Woollard provided cost planning services including providing cost options for various forms of the lake wall, dredging of the lake and reclamation of land, silt and sediment dams and stormwater works.